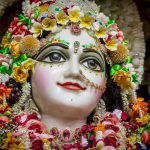 Every year the youth of Mayapur come together and work to make the festival what it has been for the past thirty-two years – an intense mood of loving devotional service. Jhulan Yatra takes place every year in the monsoon season over a period of five days, leading up to Balarama Purnima. This is the time when Srimati Radhika and Her beloved Sri Madhava enjoy swing pastimes in the spiritual world. 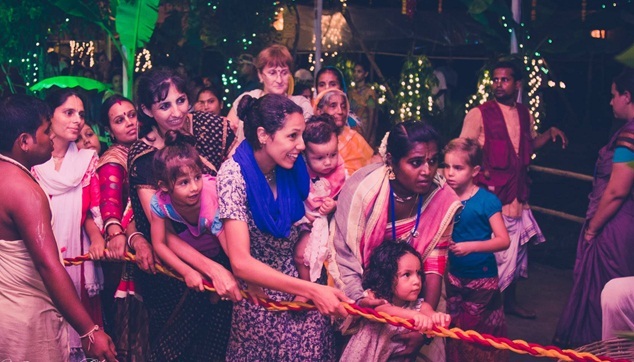 Every year the youth of Mayapur come together and work to make the festival what it has been for the past thirty-two years – an intense mood of loving devotional service. Serving together tirelessly for more than thirty days is as enlivening as it is exhausting, and every year the sweetness grows. They begin preparations for the Jhulan Yatra festival approximately a month before Radha Madhava’s swing pastimes. They transform a wildly overgrown forest into a breathtaking flower grove, decorated with ponds, fountains, waterfalls and lights, and permeated with aromatic smoke which not only sets the right atmosphere for the Jhulan Yatra festival, but also keeps away the mosquitoes! 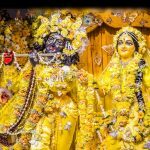 Sri Sri Radha Madhava are exquisitely dressed for the night in a new dress made of fresh, sweet-smelling flowers and decorated with jewels and pearls. 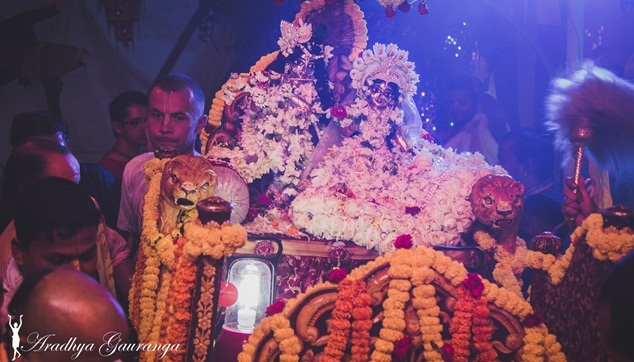 They are then taken to a beautiful palanquin which is placed on a chariot and pulled by the devotees from the temple to Radha Madhava’s secluded kunja, or flower laden bower, which is located near ISKCON Mayapur’s Goshala. 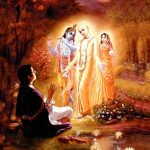 As Radha Madhava are brought by procession to Their kunja, auspicious mantras are chanted by our gurukula boys, and a loud kirtan announces the Lord’s arrival. 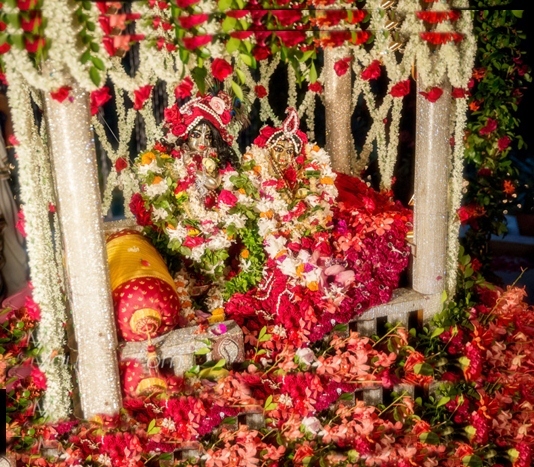 As soon as Their Lordships are seated on Their flower and jewel encrusted throne, devotees who have already been eagerly waiting in line for hours flood in to behold the Divine Couple, swing Them, and offer prayers and offerings of love. This is one of the rarest opportunities the community devotees get to personally cook and serve Their Lordships directly. As Their Lordships are enjoying Their swing pastimes, the devotees sing beautiful bhajans glorifying the Divine Couple, for Their pleasure. 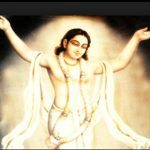 They sing songs from many of our previous acharyas, such as Srila Rupa Goswami (Radhe Jaya Jaya Madhava dayite), Krishna das (Jaya Radhe Jaya Krishna Jaya Vrindavan), Srila Bhaktivinoda Thakura (Jaya Radha Madhava kunja-vihari), and many more. Thereafter, senior devotees and sannyasis talk about the glories and significance of performing the Jhulan Yatra festival. 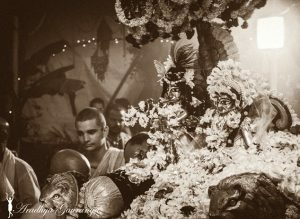 Once the Deities are nicely glorified, the devotees entertain Sri Sri Radha Madhava by performing various arts. 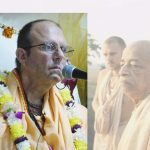 It’s wonderful to see that now, everything that Srila Prabhupada envisioned for the Jhulan Yatra festival is being followed: a new flower dress is offered every day, delicious prasadam is constantly being served throughout the festival to thousands of people, the chanting of the Lord’s names can be heard in all directions, and Their Lordships not only have a jeweled throne, but also a wonderfully adorned palanquin and chariot. They are given offerings in all forms, shapes and sizes – from home-cooked offerings, to ghee lamps, to prayers and glorification, to songs, to dances…the list is endless. On the last day, Sri Balarama Purnima, the devotees gather around a huge clay pot filled with gur, honey and various sweets. Willing devotees are blindfolded and take turns trying to break the pots. Sri Sri Radha Madhava are also anointed with splashes of colour on this day. They are showered with sweet smelling flowers and coloured powder. It really is a festival of sweet, transcendental love. When the festivities come to an end, Their Lordships are taken to the pukur, or pond, at the entrance of Their secluded kunja, and enjoy a small festival of lights on the water. Thereafter, They are seated on a royal chariot, and are taken back to the temple, led by an ecstatic, tumultuous kirtan. Fairy lights and fireworks shed light onto the path ahead and into the sky above, while a few brave souls breathe fire, illuminating the faces of the smiling devotees around.